LONDON (AP) — Britain’s government ramped up preparations Tuesday for the possibility that the country could leave the European Union in 101 days without a divorce deal — putting soldiers on standby and warning thousands of businesses and millions of households to get ready for the worst. 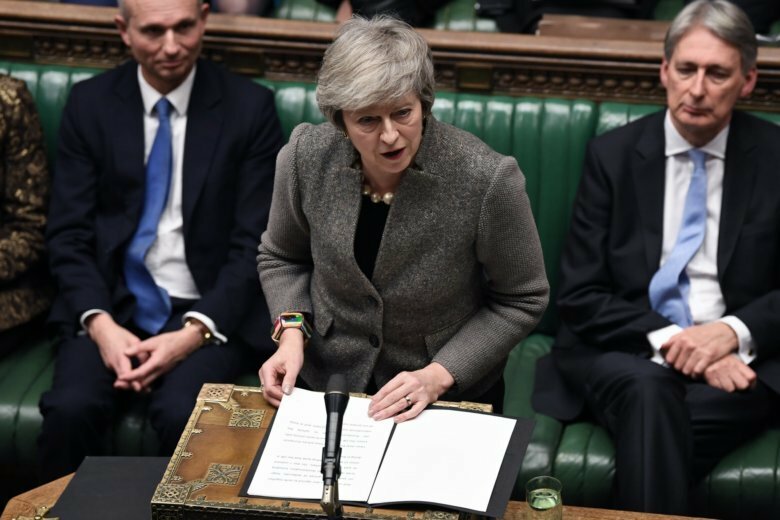 With the country’s departure set for March 29, it remains unclear whether British lawmakers will approve the divorce agreement that Prime Minister Theresa May’s Conservative government has negotiated with the EU. The alternative, a “no-deal” Brexit, risks plunging the British economy into recession and touching off chaos at the borders. “The government’s priority remains to secure a deal, but we need to recognize with 14 weeks to go, that a responsible government is preparing for the eventuality that we leave without a deal,” Brexit Secretary Steve Barclay said. Members of May’s Cabinet agreed to activate all the government’s no-deal plans and advised the public to prepare for disruptions. Ministers insisted the steps were sensible. “Just because you put a seatbelt on doesn’t mean that you should crash the car,” Work and Pensions Secretary Amber Rudd said. The British government has already published dozens of papers advising of possible “no-deal” disruptions to the economy and daily life, saying businesses could face red tape at the border, consumers could see higher credit card fees and patients could endure delays to medical treatment. The government has drawn up plans to charter boats to bring in essential goods in case supplies are disrupted. Health Secretary Matt Hancock told the BBC that “I’ve become the largest buyer of fridges in the world” in order to stockpile medicines. “This is the reality of a no-deal Brexit: soldiers on the streets, medicines being stockpiled in the NHS (health service), and airports and ferry terminals grinding to a halt,” Labour Party lawmaker Ian Murray said. The British government and the EU sealed a Brexit deal last month, laying out the terms of the U.K.’s orderly departure and establishing an extendable transition period to give the two sides time to reach a permanent new trade relationship. She tried to win changes from the EU to sweeten the deal for reluctant lawmakers, but was rebuffed by the bloc, which insists the agreement can’t be reopened. May’s authority has also been shaken after a no-confidence vote from her own party last week. She won it, but saw more than a third of Conservative lawmakers vote against her. May insisted Monday she could win “clarification” from the EU to reassure skeptical lawmakers before Parliament votes on the deal during the week of Jan. 14. Opposition legislators — and many members of May’s Conservative Party — remain opposed to the Brexit deal. But with Parliament divided on what should replace it — a harder Brexit, a softer Brexit or no Brexit at all — the whole process is at an impasse. Labour’s Brexit spokesman, Keir Starmer, said the no-deal plans were part of scare tactics designed to push lawmakers into backing May’s deal.